The intermediate trend (three weeks to six months) is still down. 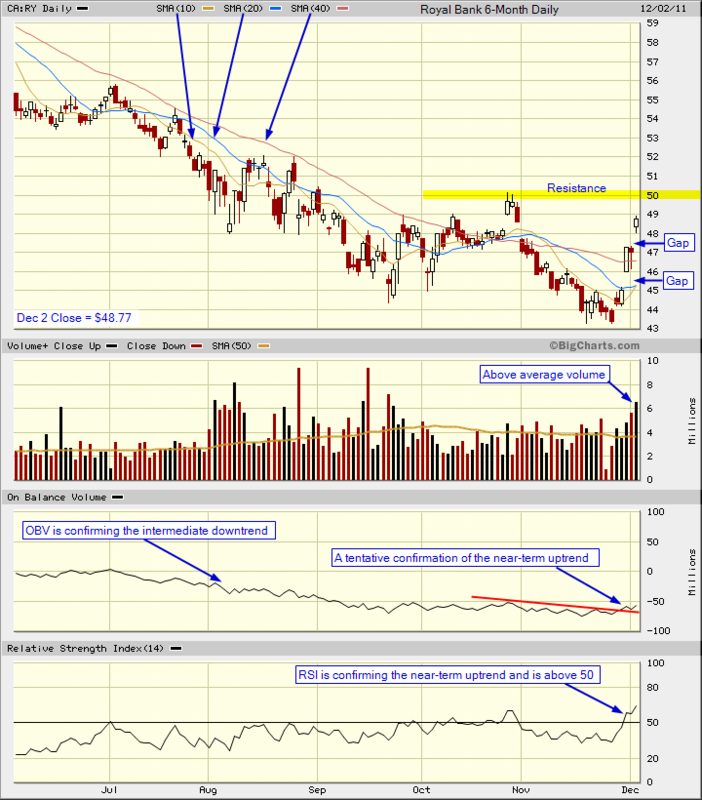 RBC is trading above the three simple moving averages. The 10-day SMA is crossing the 20-day SMA. Volume is increasing with the near-term uptrend. RSI is confirming the near-term uptrend. Two breakaway gaps bode well for the uptrend. The last gap (window) should provide support ($48) on any pullback. The near-term resistance level is around $50.00. You must take into account the trend for the overall market – TSX Index. The intermediate trend for the TSX Index is down. When you trade the markets, you are dealing with probabilities. What is the probability of the the near-term uptrend continuing for RBC? 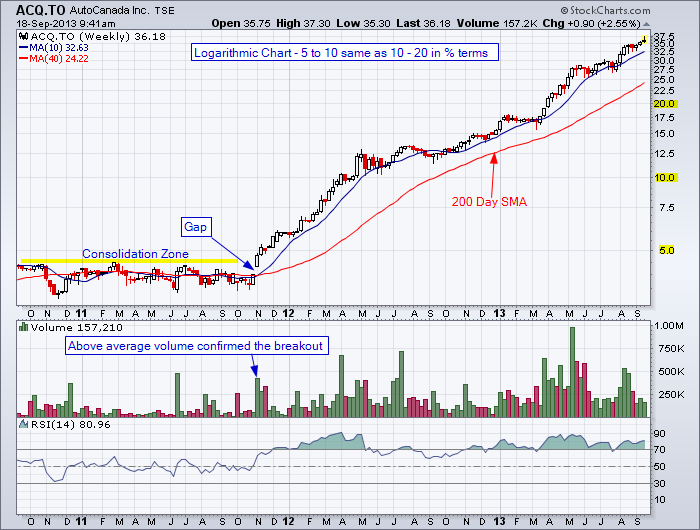 The main purpose of TradeOnline.ca is a starting point for your own chart analysis. Technical analysis serves as a guidepost in your daily investment analysis and is used in conjunction with fundamental analysis. There is no magic formula for making profits when you trade online in the stock market. We are all students of the market, and one should never give up reviewing and learning the basics. Visit the Advanced Chart Settings and customize BigCharts so you can review different time periods. This entry was posted in Stocks and tagged breakaway gap, candlestick chart, gap, RBC, Royal Bank on December 4, 2011 by Trader.